The Navy is very old and very wise. Much of her wisdom is on record and available for reference; but more of it works in the unconscious blood of those who serve her. She has a thousand years of experience, and can find precedent or parallel for any situation that the force of the weather or the malice of the King's enemies may bring about. 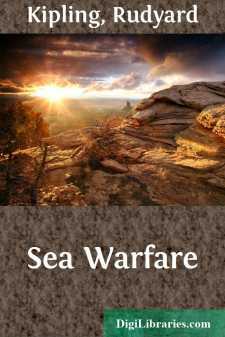 The main principles of sea-warfare hold good throughout all ages, and, so far as the Navy has been allowed to put out her strength, these principles have been applied over all the seas of the world. For matters of detail the Navy, to whom all days are alike, has simply returned to the practice and resurrected the spirit of old days. In the late French wars, a merchant sailing out of a Channel port might in a few hours find himself laid by the heels and under way for a French prison. His Majesty's ships of the Line, and even the big frigates, took little part in policing the waters for him, unless he were in convoy. The sloops, cutters, gun-brigs, and local craft of all kinds were supposed to look after that, while the Line was busy elsewhere. So the merchants passed resolutions against the inadequate protection afforded to the trade, and the narrow seas were full of single-ship actions; mail-packets, West Country brigs, and fat East Indiamen fighting, for their own hulls and cargo, anything that the watchful French ports sent against them; the sloops and cutters bearing a hand if they happened to be within reach.